Peploe’s is at the very heart of Dublin City Centre right on St Stephens Green. A visit to Dublin would not be complete without an evening at Peploe’s soaking up the City atmosphere, enjoying succulent dishes with wines imported directly from European vineyards. Peploe’s story is the culmination of a long-held ambition for owner, Barry Canny, to open an accessible, affordable bistro reflecting his personal passion for simple good food, fine wine and art. 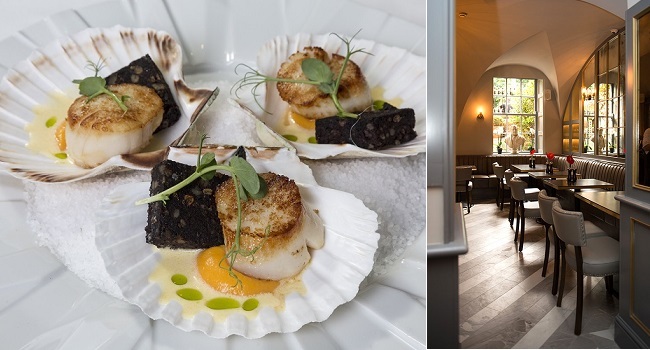 TheTaste and Peploes are giving readers the chance to experience a 4 Course Dinner for Two with a Glass of Prosecco Each and a Bottle of Wine plus Two Coffees for €220. This dinner includes 2 x Appetisers and 2 x 3 Course A La Carte Dinner. Guests can choose either red or white wine.